Once you've overcome your battle with acne, it's time for you to banish any remaining scars or marks and enjoy smoother, clearer skin. Let sk:n help to restore your skin. 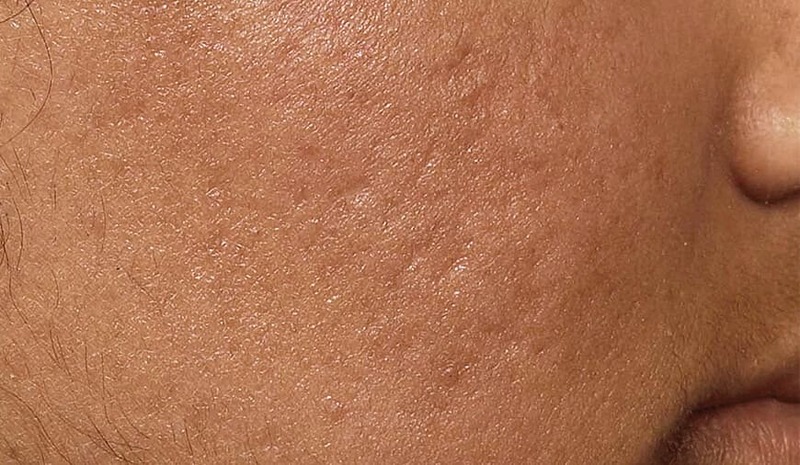 These scars are darker patches of pigment on the skin at the site of the acne. Box scars are round scars with steep sides and are caused by acne but resemble Chicken Pox scars. Undulations in the skin are caused by damage beneath the surface. These scars are wide and shallow. This type of scar is deep and very narrow. They can be large and resemble an open pore. According to the British Skin Foundation, 28% of the UK population suffers with acne and 95% of acne sufferers say it impacts their daily lives. Even once acne has completely healed and is no longer active, it can still leave behind visible, permanent scarring. The good news is, there are a number of innovative treatments available to help improve the appearance of acne scarring. Acne scarring is caused by the body effectively putting "too much effort" into healing the wounds caused by acne, causing an excess of collagen built up in the skin. This collagen may stay in place permanently, creating acne scarring. In some cases the result is not a true scar, but simply an excess of pigmentation. This may fade away over a few months or years, but generally isn't permanent as with other acne scars, which can appear as textured skin. We offer a range of treatments to combat the whole range of acne scars. You’ll need a consultation with one of our expert skin specialists or dermatologists so that they can assess your scars and develop a treatment plan tailored to you. Save 30% On Selected Treatments. Limited Time Only! * Course of 12 with 30% off. Limited time only. Our TCA peel is one of our more advanced, deeper Enerpeels. It penetrates down to the dermis and can help target dark marks, discolouration and acne scars. It is a painless treatment that's suitable for those with sensitive skin. Our Microneedling treatments work by creating thousands of miniscule contact points, leaving your body’s natural healing process to rejuvenate and repair the skin. It's perfect for correcting an uneven skin tone and pigmentation caused by acne scarring. We offer a variety of Laser Resurfacing treatments including CO2RE, which can target both superficial and deeper layers of your skin, and Fraxel, which penetrates deep into the skin, and Erbium Yag, which works deeper still. Exclusive to SK:N, Kleresca® is the latest non-invasive biophotonic treatment designed to treat your acne safely and with little to no downtime. Our Group Medical Director Dr Daron Seukeran explains the causes of acne scarring, and how it can be treated effectively. Acne scarring occurs due to the inflammation caused by active acne. There are different types of scars: depressed scars, such as ‘ice pick’ or atrophic scarring; and elevated or raised scars, sometimes known as hypertropic or keloid scars. 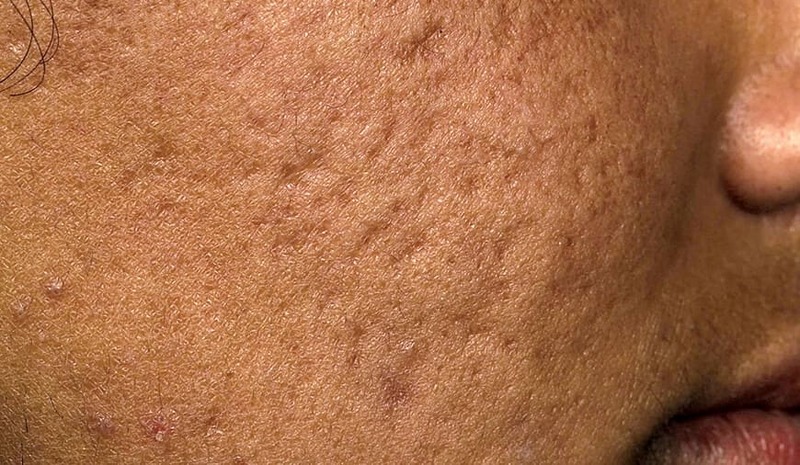 Acne scarring can occur naturally, or in many cases patients can exacerbate their scarring by picking their spots. Scarring can affect the back or the chest, as well as the face. There are several types of treatment that can help acne scarring. In terms of lasers, one of the most effective is laser resurfacing. This is where the surface of the skin is removed very precisely from the affected area, allowing a new layer of skin to form. The treatment can help depressed scars to become shallower, less noticeable and easier to camouflage. sk:n also has other lasers we may use to help raised scarring, or to treat the redness associated with acne scarring. Fractional lasers need less downtime between treatments, but require a number of treatment sessions. Often, laser treatment may be combined with other surgical interventions, such as subscisions, where the fibrous tissue under the scar is reduced via a simple procedure using a hypodermic needle. What kind of results can you expect from different treatments? Ablative laser resurfacing delivers the gold standard in terms of results, however, a combination of treatments may be needed to deliver the best results, tailored to the type of acne scarring experienced by the individual. With a full ablative laser-resurfacing procedure, the downtime can be one to two weeks, but this would be a one-off treatment. With fractional ablative treatments, the downtime may be less – around five days to a week – but multiple treatment sessions will be needed. Why is it important to be treated by a reputable skin clinic for your acne scarring? Acne scarring is a difficult condition to treat, which requires a high level of clinical expertise. You really need an expert assessment to identify the most appropriate treatment, or combination of treatments, to deliver the best result. HOW WILL I FEEL DURING ACNE SCARRING TREATMENT? The treatments we offer to combat acne scarring are effective for virtually everybody. If there are any issues with your suitability for treatment, your practitioner will discuss these with you at your consultation. IS ACNE SCARRING TREATMENT SAFE? All of the treatments we offer at sk:n are extremely safe. sk:n employ some of the UK’s leading doctors and dermatologists who will match your skin to the right treatment for the best results possible, which will be performed in clinical standard treatment rooms. During your consultation, you will be advised of the possible side effects associated with your treatment and informed of how to care for your skin post procedure to protect it. All of our acne scarring treatments will visibly reduce acne scars depending on their type and severity. Laser resurfacing treatments can show results after just one treatment, whereas a course of skin peels and micro-needling may be needed. In most cases the results will be permanent, however if you suffer from acne after having acne scarring treatment there is a risk that new scars will form, and you will require further treatment. DOES ACNE SCARRING TREATMENT HURT? Depending on which treatment is chosen, either an anaesthetic cream or local/general anaesthetic may be given to reduce the discomfort that you will feel. 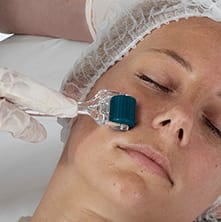 Laser resurfacing will leave a visible wound, which can cause some discomfort; however suitable pain relief will be prescribed by your practitioner at the time of treatment. 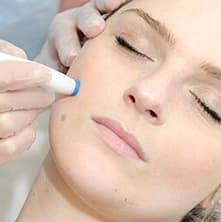 Microneedling combats acne scarring, signs of ageing and dull skin. Microdermabrasion is an effective treatment to brighten and renew your skin.